September 12, 2018 (Greenville, S.C.) –First Community Bank is pleased to announce the beginning of the renovation process at its new banking office located at 105 N Spring Street in downtown Greenville. With permits and designs currently under review, the renovation work is anticipated to begin soon and the office is set to open early 2019. The 5,658 square foot office marks the bank’s fourth Upstate location and builds on its three-year presence in the region. In addition to the branch staff, the office, located at the corner of N Spring and E Coffee Streets, will house Kirven and a team of commercial bankers, mortgage lenders and financial planners. “We take pride in our ability to provide personalized, relationship banking to each customer who walks through our doors, and we’re thrilled to have such a skilled team serving downtown Greenville,” said Kirven. 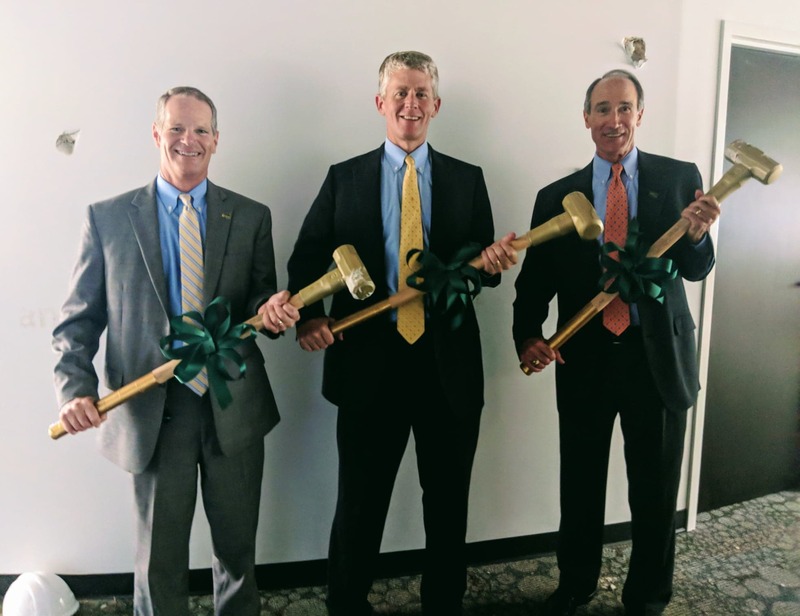 Since entering the market in 2015 through the opening of a loan production office downtown, the bank has increased its focus on the area by growing its team and acquiring Cornerstone National Bank. In addition to the new downtown office, the bank operates offices in Powdersville, Easley and on Farrs Bridge Road of Greenville.